Salinox’s fixed glazing roofs (F-GR) constitute a contemporary structural solution for residences and professional spaces. They are used and specified by architects, designers and construction companies throughout the world, to obtain natural lighting and to clear up the user’s view from fixed, opaque obstructions. The goal of all glass roof manufacturers is to create a product of high aesthetic value, which at the same time will be able to withstand the glazing’s weight – along with any additional load (such as snow, or wind) – while also remaining watertight in case of heavy rain and intense weather phenomena. Responding to this design challenge, and by focusing on the details, Salinox designed a fixed glazed roof which can be constructed at any size and geometry, from simple rectangular to pyramidoid or polygonal forms. For the roof’s construction, transverse aluminum beams are used, which accommodate single and double tempered glazing, forming an entirely watertight system. Using such durable materials (aluminum and glass), the roof is guaranteed to stand the test of time, while maximizing the glazing’s surface, offering unobstructed view and protection, under the most challenging conditions. Numerous applications, in residences, as well as in professional spaces and public-use buildings - basically any space where indoor natural lighting is desirable. 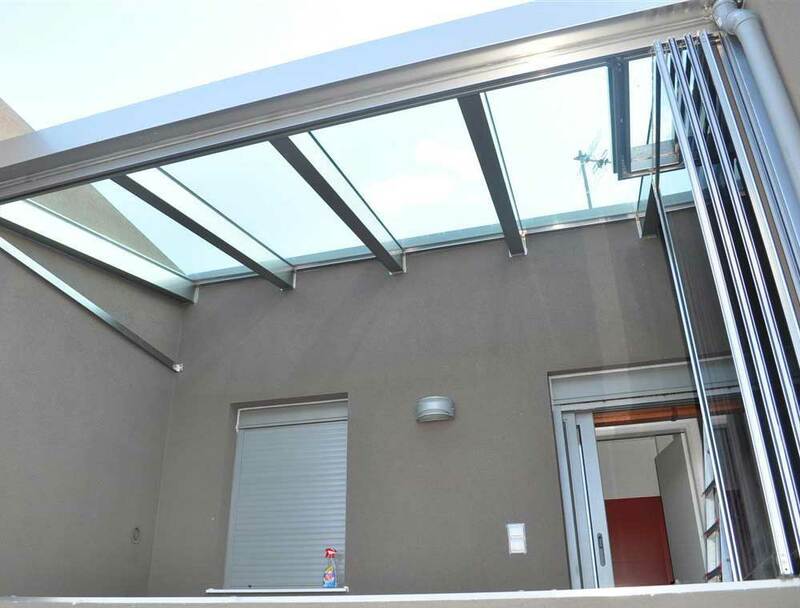 They are also ideal for creating skylights as well as incorporating into gardens or verandas, once coupled with one Salinox’s glass folding door or retractable window systems. Smart choice of materials: High endurance materials – aluminum and glass – which can stand the test of time and offer safety and watertight results. Bioclimatic construction: The F-GR contributes to making good use of natural lighting, reducing the building’s energy consumption demands and limiting its carbon footprint. Innovative design: The F-GR roof employs double glass-boards bonded together with a special method to form the so-called “structural glazing”. This allows the glazing’s surface to coincide with the aluminum profile frames, achieving swift rainwater runoff, preventing any inflow, and contributing to the system’s cleaning and maintenance.